With the passage of the Patient Protection and Affordable Care Act (PPACA), millions of people have greater protection against losing or being denied health insurance coverage, and better access to primary and preventive services. The individual mandate in the PPACA requires every person to carry health insurance. The influx of previously uninsured patients is likely to overwhelm the current primary care system and push hospitals and clinics to act more like other service industries. This may mean more healthcare providers relying on automated message systems and voice-mail at the expense of human interaction. A recent study conducted by Accenture found that while most of us (90%) would like be able to make a doctor’s appointment and check lab results online, 85% of us also still want the option of be able to talk to our physician. Patients understand the value of a having a relationship with a knowledgeable physician or similar health care provider. Patients’ perceptions of the quality of the healthcare they received are highly dependent on the quality of their interactions with their healthcare clinician and team. The connection that a patient feels with his or her clinician can ultimately improve their health mediated through participation in their care, adherence to treatment, and patient self-management. In spite of, and for some, because of the plethora of health information outlets on the web people want to know that they always have access to the family doctor or the clinic when using healthcare services. This issue is particularly important in the healthcare industry where privacy is paramount, patients need to be able to reach their providers to talk through their concerns, and which is growing more competitive. As a healthcare service provider in this growing industry consider investing in technologies that make you even more available to your patients. Two technologies that make it easier for healthcare providers to ensure that their patients and clients can always reach them are toll-free and virtual phone numbers. A toll free number is a special telephone number that is free for the calling party. Rather than charging the caller, the telephone carrier charges the called party for the cost of the call. Toll-free numbers are identified by a service access code such as “800” that can vary by country. A virtual phone number is a telephone number used to route calls to the user’s actual phone number or numbers. Virtual phone numbers are often used to enable long distance service without incurring long distance charges. A virtual phone number makes it possible for someone within a specified area code call an IP telephony user in another area code as if it were a local call. Toll-free numbers and virtual numbers have several advantages including low price, additional information collection, stability, voice quality, and most importantly, making it easy for patients to contact you with their healthcare needs. 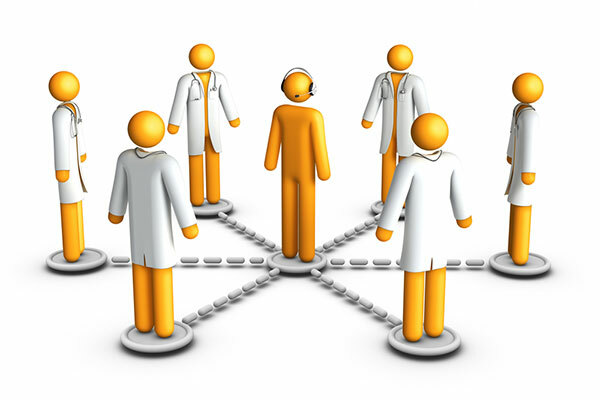 Given the wealth of evidence linking ineffective clinician-patient communication with increased malpractice risk, nonadherence, patient and clinician dissatisfaction, and poor patient health outcomes, healthcare providers should consider investing in telecommunication systems that ensure reliable, prompt, and personal communication with their patients.